Colder weather has moving birds in the Central and Mississippi Flyways this week as we near the typical major migrations of November. While the flurry of activity is providing hope to waterfowl hunter in the central tier of the United States, Gadwall numbers in the Dakotas are still above average for this time of year. Colder temperatures along the US/Canada border helped push migrating birds south this week, finally moving the typical migrants off the prairie. 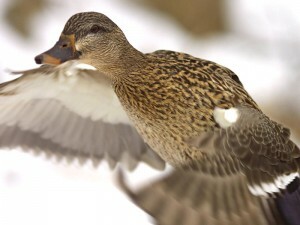 Gadwall, widgeon and green-wing teal are finally moving south – about 2-3 weeks behind schedule. The regular waterfowl season is underway and cooler temperatures are providing excitement and hope for the seasoned waterfowl hunters. The epic flights of teal that arrived along the upper Mississippi Flyway have continued to move south and teal number in Texas have continued to climb as birds scurry down the Central Flyway. The early cold fronts that set the fall migration into motion have passed and it appears we will settle into the El Nino migration pattern that we were expecting. Opening day activity in the northern states will begin with typical teal, wood ducks and local mallards comprising the typical bag. The teal migration is finally underway. The recent cold front that passed through the prairies ignited a flurry of migration activity, with record numbers of teal being recorded by the Illinois Natural History Survey (INHS) team. As we count down to the regular season openers, early season teal hunters have a reason to celebrate as duck numbers along the Mississippi river survey area tip the scales at 258% above the long term average. While teal have taken the spotlight, early movements of gadwall, widgeon and ruddy ducks have also been recorded – which will provide some nice mixed bag action for northern hunters when opening day arrives. The autumn season is upon us and the 2015 hunting season is underway across our great nation. Resident Canada goose, dove and special teal seasons will provide an abundance of opportunity for early season hunters until the general waterfowl season begins. Let the games begin! Hello folks, and, as always, welcome to another season of Waterfowler.com. As we enter our 18th year of migration coverage we’d like to thank our readers for their ongoing participation and visits to our website, migration updates and hunting reports. Of course, the value of our report archives not only offers great off season reading and information, this season the historical value will provide waterfowl hunter with planning tools when the face the El Nino migration of 2015. According to NOAA, this autumn with will face the strongest El Nino weather patterns that have been recorded. In a typical El Nino weather pattern the jet stream remains more horizontal (along the Canada/U.S. border) and is less subject to the wild dips and curves of clipper systems that fuel the annual waterfowl migration. In 1989, the last strong El Nino year, the migration was so late and changed that it gave birth to the “short stopping” urban myths of waterfowl hunters dumping truckloads of corn in the north to prevent a migration. 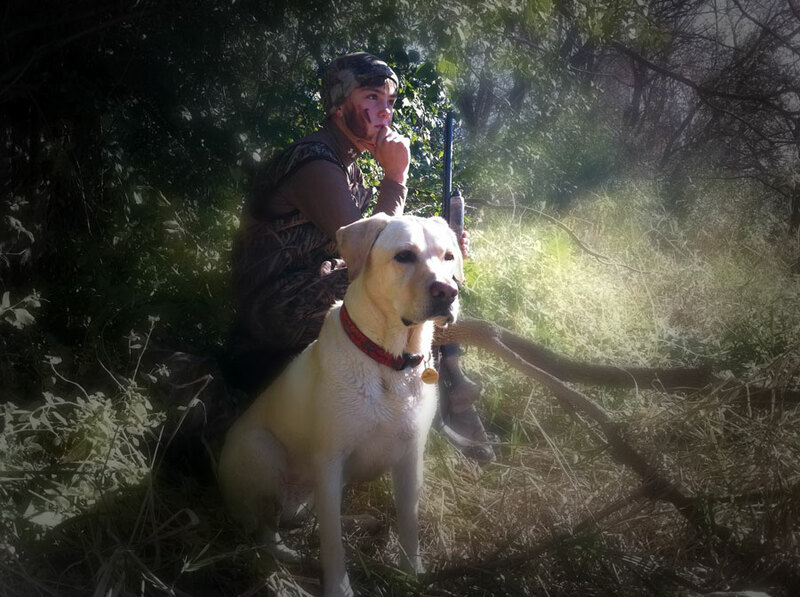 If history repeats itself, and the El Nino is as strong as it is predicted, there are a number of young waterfowl hunters who will be left scratching their heads in December in central tier states, wondering if ducks still exist on the planet. While El Nino years typically dump untold amounts of rain in the Pacific Flyway, keep the Prairie Pothole Region unseasonably tepid, they do have a positive effect for Atlantic Flyway hunters – as migrating ducks ride the flat jet streams east. In 1989, east coast waterfowl hunters were treated to untold numbers of prairie waterfowl and teal numbers were off the charts. Thankfully the doom and gloom of the El Nino has a hitch this year. This year’s the El Nino will face off against a warming artic and neither the meteorologists or climate prediction specialists have any idea what’s going to happen. While some think that when the exceptionally warmer El Nino meets the warming (but still cooler) artic air, it will be have as it typically does, it’s truly anyone guess. As we await the odd weather results in the months ahead, we encourage our readers to visit the Hunting Report Archives and indulge in a bit of migration history during the El Nino Years. Until our next report, teal continue to move down the flyway at a typical pace in the Central and Mississippi Flyways – strung out from the Dakotas to Texas – so begin planning your early hunts and welcome to another great season. Despite the low turn out of breeding pairs in U.S. Prairie Pothole Region, the bumper crop of waterfowl from 2014 returned to Canada in record numbers. The 2015 survey results report an all-time record high 49.5 breeding ducks – 43% above the long-term average. 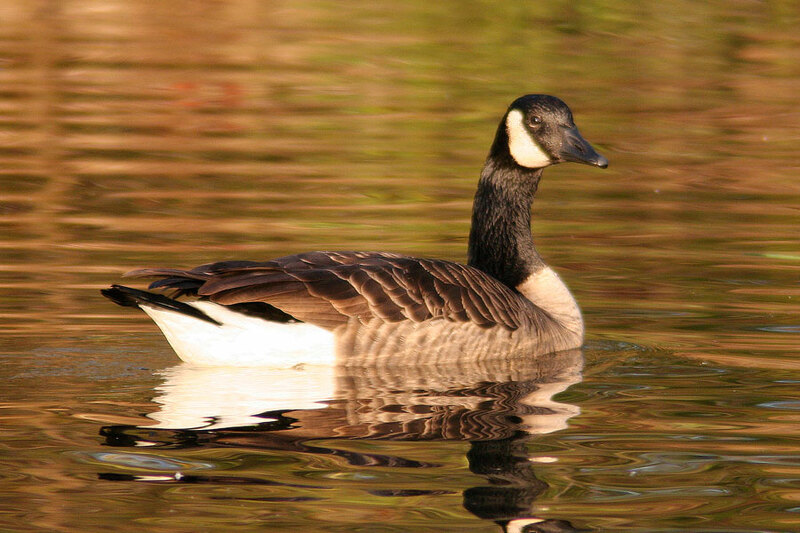 Despite the mild winter, early spring and lack of precipitation across the waterfowl breeding range, pond counts of 6.3 million were only 12% below the 2014 survey totals. 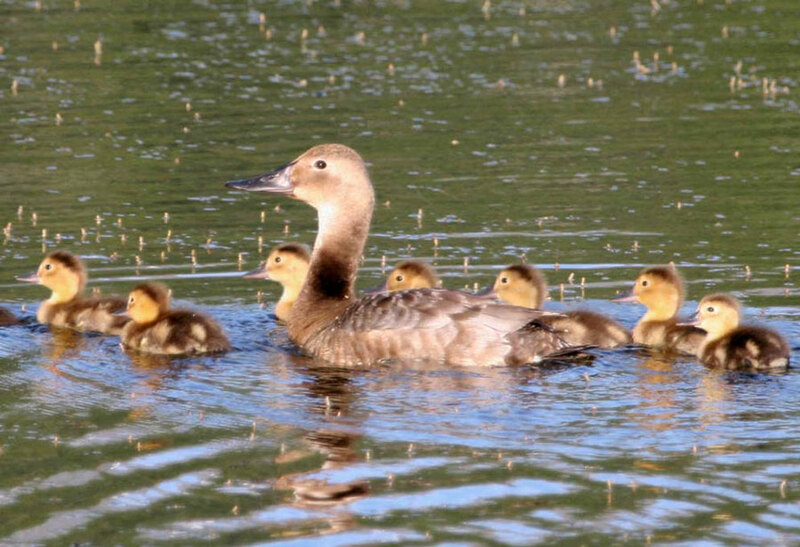 The U.S Prairie Pothole Region was hardest hit by the drier conditions but spring rains have recharged many of the areas since breeding waterfowl passed the area. In short, waterfowl hunters will be treated to another outstanding year of waterfowl numbers. Pintail and scaup numbers remain below the long-term average and continue to be a concern. Mallards: 11.6 million and 51% above the long-term average. Gadwall: 3.8 million and 100% above the long-term average. American Wigeon: 3.0 million and 17% above the long-term average. Green-winged Teal: 4.1 million and 98% above the long-term average. Blue-winged Teal: 8.5 million and 73% above the long-term average. Northern Shovelers: 4.4 million and 75% above the long-term average. Northern Pintails: 3.0 million and 24% below the long-term average. Redheads: 1.2 million and 71% above the long-term average. Canvasbacks: 0.76 million and 30% above the long-term average. Scaup: 4.4 million and 13% below the long-term average. Black Ducks: (Eastern Survey Area): 541,000 and 13% below the long-term average. With the first early waterfowl seasons less than two months away, it’s never two soon to begin planning your epic waterfowl adventures for 2015. 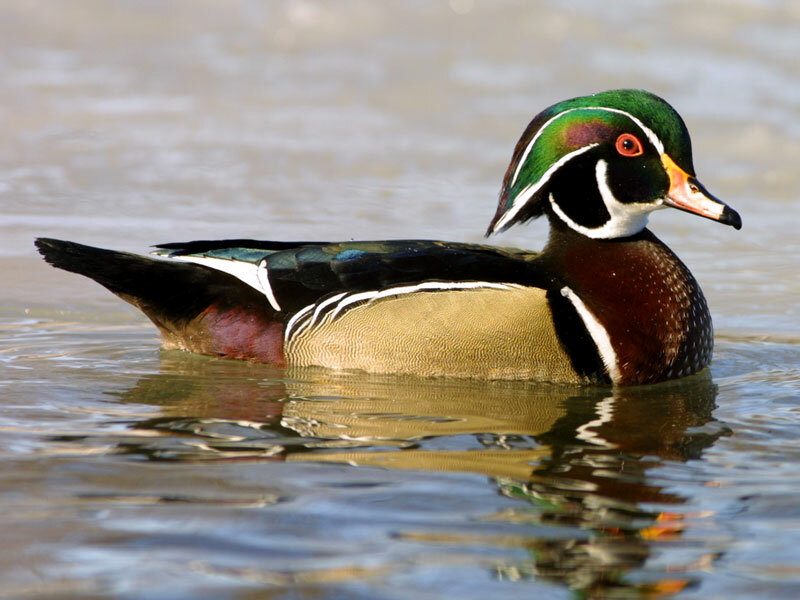 The 60th annual spring Waterfowl Survey is nearing completion and habitat conditions vary greatly across the nesting region in North America at this time. 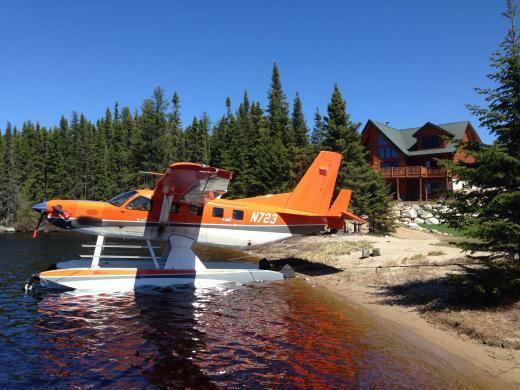 Aerial and ground crews have experienced a number of weather delays this year and some crews are racing across flight transects to collect data. Drier conditions prevail across most of the breeding areas in the United States. The lack of snow that fueled a very fast snow goose migration did little to recharge wetlands in Montana or the Dakotas. The Coteau region and eastern North Dakota had much better conditions but waterfowl numbers are down on those areas and nesting pairs have traveled north to areas where habitat conditions are better. Survey crew condition to report that the number of drained wetlands continues to increase across the survey area at an alarming rate. In Canada, conditions range from good to excellent in eastern parts of the country to fair in the southwestern areas. In Nova Scotia, Ontario and Quebec, conditions are similar to last year and production expected to be near normal. Smaller wetlands are drier in Northern Manitoba and Saskatchewan but permanent wetlands remain good. Duck numbers appear to be better than normal and this is not unexpected because of dry conditions in the Dakotas. Southern Manitoba is reportedly similar to last year with duck numbers good in most areas and other areas reporting record numbers of waterfowl. Southern Saskatchewan is slightly drier than last year but the bulk of wetlands remain full, or nearly full. In southern and central Alberta it is drier in the south but Parklands remain good with duck numbers high. In Northern Alberta and the Northwest territories, conditions are drier in the south and near normal in the north. Mallard, Pintail Shoveler and Widgeon numbers were up in the boreal region with sea duck numbers lower than normal. In summary, duck production will see a slight bump in Canada this season due to poor habitat conditions in the United States. 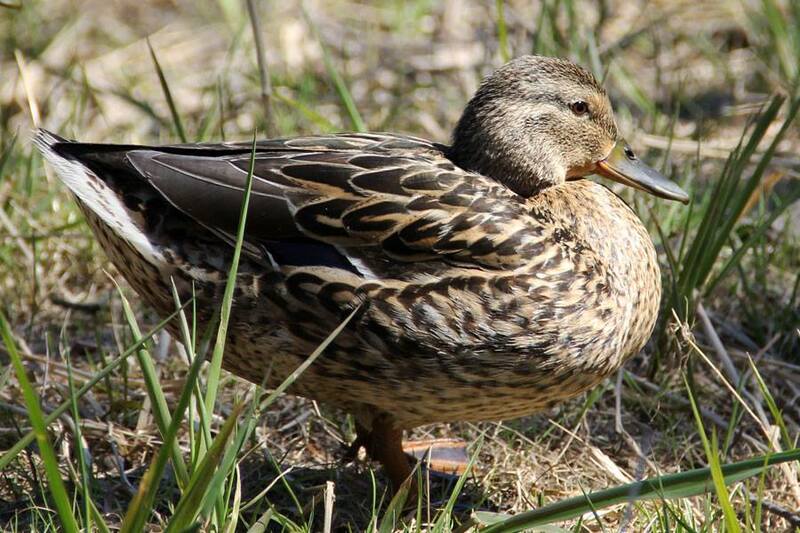 Duck numbers in North Dakota appear to be down 25% across the state and down 40% in South Dakota. CRP enrollment continues to decline in the U.S. Prairie Pothole region. North Dakota alone has suffered a net loss of 1.6 million acres since 2007 and the Farm Bill capped enrollment at 24 million acres – down from 26.8 million acres in 2013 and the lowest since 1987. A recent study by North Dakota Fish and Game found that 10,330 wetland basins will have a gas well within 110-yards of them by 2020. 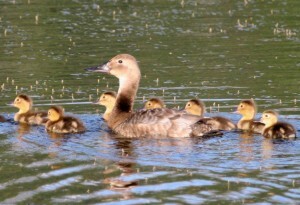 Which will significantly impact duck production, clutch-size, and duckling survival rates. The crash of duck production in the U.S was not unexpected, as habitat conditions swing like a pendulum from poor to excellent. What is important to remember that during dry years it is easier to plow wetlands and in the future, when water returns, the wetland will not. As politics become more partisan and volatile in our nation, one thing is clear the road to sound environmental policy that favors habitat protection, enhancement and good duck production will be extremely rocky – unless hell should freeze over and our elected officials spend more time searching for common ground that differences. Until our next update, cross your fingers for good duck production in the northern parts of the Prairie Pothole Region (PPR). The Spring Waterfowl Survey is underway and participants are celebrating their 60th year of collecting waterfowl breeding data. 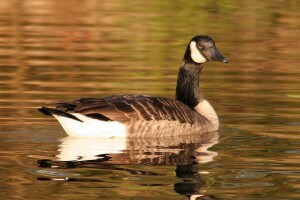 The Spring Survey is a cooperative effort of the United States Fish and Wildlife Service, the Canadian Wildlife Service, and state, provincial, and tribal agencies – where participants cover more than 2.1 million square miles of the northern United States and Canada to access the status of primary duck nesting areas in North America. In short, it is the most extensive wildlife survey in existence and an epic adventure indeed. It’s that time of year again. Ducks are busy getting bust, and wildlife officials have embarked on data collection efforts to determine the season lengths and bag limits for the 2015-20126 waterfowl season. Without their efforts, the waterfowl season would not exist. The past few years we have encouraged our members to stay up to date on nesting conditions for their respective hunting areas over at FLYWAYS.US – where their website features real-time reporting from aerial and ground crews as they venture across the continent counting ponds and breeding pairs of ducks. This season is no different – we can’t promote their reporting enough. 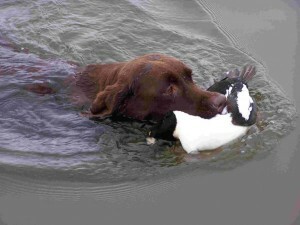 The news and imagery are just what waterfowl hunters need to stay informed and in touch with our great resource. So, get over to FLYWAYS.US today and celebrate the 60th year of great science with them. 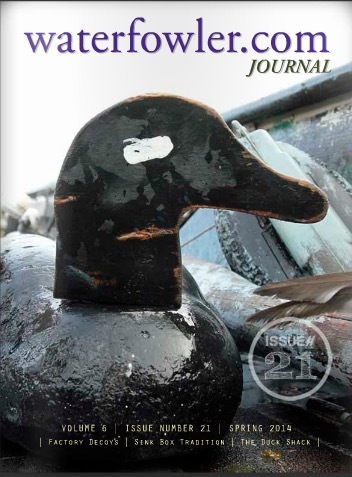 In other off-season news, Issue #23 of Waterfowler.com Journal is already in production and will feature an absolute plethora of great duck and goose hunting stories. If you missed our last two digital issue, don’t worry – our back issues remain online indefinitely and you cant catch up on your reading anytime at over at ISSUU. If you are interested in supporting the continuation and frequency of our publication by becoming an advertiser, you can call us anytime at 815-337-8300. While avid duck and goose hunters often spend the majority of the office season pursuing other outdoor adventures and fishing, we remind our readers that local and state organizations are always in need volunteers to conduct conservation and restoration projects during the spring and summer months. Participating in one of these great programs not only promotes good stewardship of the resource, it also is a great way to meet other hunters in your area. If you haven’t already done so, volunteer for a wetlands project in your area today. Until our next update, step outside and enjoy the great outdoors!